For lawfully updating their invoice, Indian businessmen and taxpayers have to mandatorily file various GST returns online with the government. Any non-compliance on their part could pave the way for attracting penalties/fines, dis-allowance of input tax credit, etc. Therefore, properly filing your information in the GST returns is VERY, VERY important. Remember, all the data of the users/taxpayers is stored in GSTN portal which can be accessed any time, anywhere by the taxpayer. But, most people seem to be not able to file GST online despite the best of their efforts. As a result they are stuck with one question i.e. 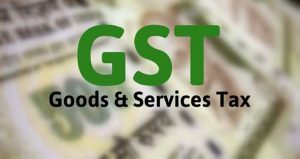 how to file GST online? To be honest, the process was quite complex initially, which is why so many people had to face technical snags, server problems, etc. 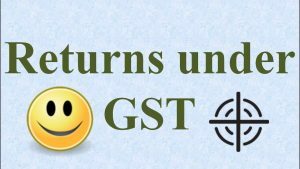 How to File GST Return Online? The process of filing a GST return starts from GSTR-1. There are many other GST forms that need to be filed by you based on the nature of your business. However, there still seems to be a lot of confusion (as well as some technical issues) surrounding the filing process due to which most people are not able to file GST online quickly. But, going through this article will not only help you understand how to file GST Returns online correctly, but also clear all the doubts you previously had regarding filing of GST returns very easily. Let’s begin. The Period for which the return is being filed. There will be a drop down menu for selecting Month & Year. 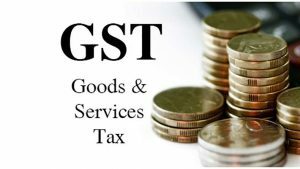 Taxable outward supplies- under this heading, Integrated goods and services tax or IGST should be filled up only in the case of inter-state movement while Central Goods and service tax (CGST) and State goods and services tax (SGST) should be filled up only in case of intra-state movement. Further, taxpayers are also advised to furnish details of any exempted sales or sale at nil rate of tax under this heading. Outward Supplies to end customer, where the value exceeds Rs. 2.5 lakhs- Other than mentioned, all such supplies are optional in nature. Amendments made to the details of any outward supplies of previous period(s). This does not cover any changes through debit/credit notes. Exempted, Nil-Rated and Non-GST Supplies- This section is Non-GST. Once the details of nil-rated sales or exempted sales have been already furnished anywhere in the above headings, only then can Non-GST details be filled up here. This form is available on the 11th of the next successive month for the recipients to view and validate the information therein to file GST return online. The period to fill up and submit this form is between 11th – 15th of the next month. Recipients can add or delete, and change any information based on their account books. Details of all inward supplies- Auto filled with details of GSTR-1. Here, the taxable person can make changes or addition to the invoice. Import of Goods – Imports shall be treated as Inter-state supply and IGST (Integrated goods and services tax) will be applicable on the imports. TCS credit from E-Commerce companies- Auto-filled from details of GSTR-8. Input Tax Credit left to be taken against an invoice, from which a partial invoice was taken initially. Input Tax Credit Reversals- A Dropdown menu containing reasons for Input Tax Credit Reversals. 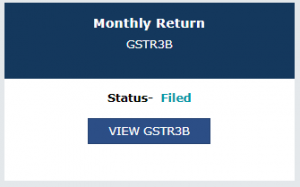 The GSTR-1A form is auto-filled after the successful filing of GSTR-2 on the 15th of the next month. It consists of all the correct or changed information. Please note, the supplier will have the choice to accept or reject the changes made by the recipient. Following such acceptance, the GSTR-1 will be revised to such extent. This form is auto-prepared by 20th of the next month. It consists of details of all outward and inward supplies of goods and services as furnished in GSTR-1 and GSTR-2. After going through both the details, GSTN will then determine the amount of tax payable or your input tax credit availability. 4) The period for which the return is being filed- A dropdown menu for selecting Month & Year will be available. Any penalties/fees, taxes, interests, paid during the period. Any refunds claimed during the period with respect to cash ledger. In order to help businessmen file GST online in a hassle-free manner, the tax authorities have introduced a simple return form called as GSTR 3B to ease the burden on taxpayers. This has to be used for the months of July to December to successfully file GST online. Every registered taxpayer has to file a separate GSTR 3B for each GSTIN they have. 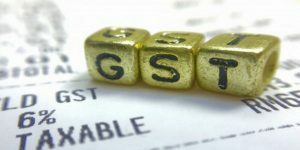 File GST online: When to file GSTR-3B? 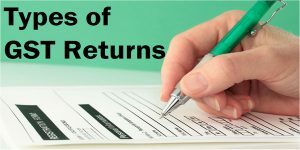 The 3B return has to be properly filled and submitted by the 20th of next month. 1) Submitted- Once all the data is filled in and return is submitted, the status will be ‘Submitted’. 2) Filed – When the GST liability is paid and the return is filed, the status will read ‘Filed’. Remember, once submitted, you cannot revise GSTR-3B. So, you need to be clear about how you are going to file GST online. Filing of GSTR-3B is mandatory even if your business has no transactions during a month, you will still have to file a “nil” return. An interest of 18% per annum is payable which is calculated by the taxpayer on the amount of outstanding tax to be paid. The period will be calculated from the next day of the due date for filing to the date of payment. Please note, a late fee of Rs. 200 per day will be levied for non-filing of GSTR-3B. We hope the information mentioned above cleared all your doubts and now you know how to file GST online easily. Just as heads up, we are going to put up more GST related articles for you so that you don’t have to depend on anyone (read: a Chartered Accountant) to know how to file GST online. Stay posted. Next article7 Free & Best Paid Apps for iPhone You Need In Your Life!